In 1987 Charles Atkins was struck with Hodgkin's disease and underwent the ravages of chemotherapy. Throughout his illness he used his Buddhist training and the power of the mantra Nam-myoho-renge-kyo to carry him through the cancer treatments and allay his fears of death and doubts for recovery. During his stays in the hospital, he took every possible opportunity to comfort other cancer patients. His survival inspired him to share the healing techniques he has learned with others. In this book, Atkins introduces us to the Buddhist master Nichiren [1222-1281] and the healing teachings of Shakyamuni Buddha as laid out in the Lotus Sutra. Nam-myoho-renge-kyo is an old mantra that has accumulated a great deal of power from centuries of countless individuals focusing their highest intents while chanting it. He explains how Nam-myoho-renge-kyo can be used to "undo" karma that has damaged our health. Methods for chanting while visualizing abound in this book. His example, along with that of many others struggling with diseases as diverse as fibromyalgia, diabetic ulcers, high blood pressure, and mental illness, provides a beacon of hope for those facing illness. Atkins's book shows that with hope, faith, and prayer nothing is impossible. 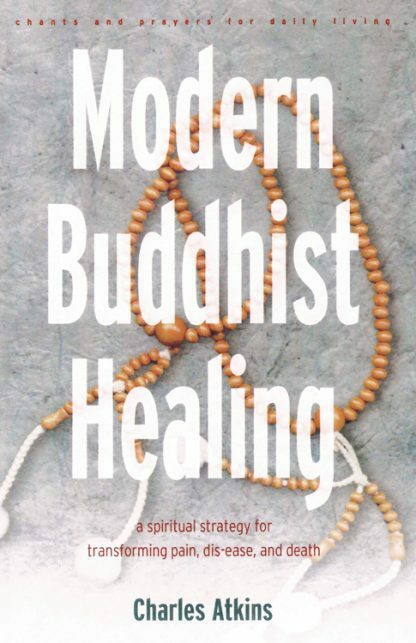 Charles Atkins is the author of Modern Buddhist Healing. He studied and practiced magick, divination, and Eastern religions in the 60s and 70s, then began practicing Nichiren Buddhism in 1974 with the Soka Gakkai. He has been a professional freelance writer on mysticism, healing, and business since 1970.